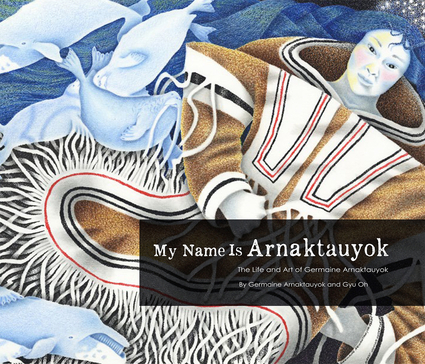 Germaine Arnaktauyok is one of the Canadian North's most prolific and recognizable artists. In this book, she tells the story of her life in her own words: her "very traditional Inuk life" growing up in Nunavut at a camp near Igloolik, and her experiences later in a residential school in Chesterfield Inlet; her education as an artist in Winnipeg and Ottawa; and her return to the North, where she continues to create drawings, etchings, and illustrations that have been featured in museums and galleries worldwide. She also provides commentary on several of her works, offering a seldom seen perspective on her inspiration and process. Featuring over one hundred full-colour reproductions of Germaine Arnaktauyok's fascinating pieces from throughout her career, this beautiful book provides an in-depth look at one of the world's most important artists. Germaine Arnaktauyok is an Inuit artist and illustrator, best known for her prints and etchings depicting Inuit myths and traditional ways of life. In 2000, she designed the special edition two-dollar coin commemorating the inception of the territory of Nunavut. She lives in Yellowknife, Northwest Territories. Gyu Oh, MFA, currently teaches at Nunavut Arctic College.